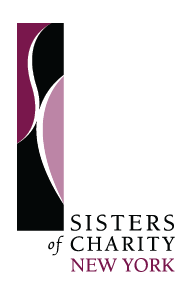 In September 2015, Sr. Jane Iannucelli, President of the Sisters of Charity, announced the creation of the Sisters of Charity Ministry Network. The purpose of the new organization is to strengthen Sisters of Charity of New York sponsored ministries and focus staff members, trustees, volunteers, and donors on the mission and values of the Founders. The first member organizations of the SC Ministry Network are the incorporated ministries: Children’s Rehabilitation Center, Elizabeth Seton Pediatric Center, Elizabeth Seton Women’s Center, John A. Coleman School, New York Foundling, New York Foundling Charitable Corporation, Saint Elizabeth Seton Children’s Foundation, and Saint Joseph’s Medical Center, Inc. Unincorporated ministries such as Casa de Esperanza, Sisters Hill Farm, and Life Experience and Faith Sharing Associates are expected to become part of the SC Ministry Network at a future date. The creation of the SC Ministry Network was made possible by the tireless efforts of the Sponsorship Advisory Council who worked with board chairs, the CEOs, and canon and civil lawyers. With their help, the Network will make a difference now and in the future. Members of the board are (from left): Margaret Sweeney, OP, Treasurer; Karen Helfenstein, SC, Assistant Secretary of the Board; Jane Iannucelli, SC, Chair of the Board/President of the Corporation; Sheila Brosnan, SC, Trustee; and Jennifer Coffey, Esq., Secretary of the Board. … your presentation was excellent today. So much good has been accomplished with the assistance and inspiration of your office. It had to be rewarding for the CEOs themselves to reflect on how mission oriented they have become. Kudos to you. The Congregations asks for prayers for the ongoing success of the SC Ministry Network to ensure a future for its ministries as they continue to prepare leaders to carry on excellent compassionate service and peaceful encounters to all in need.